In “The Joy of Love” (“Amoris Laetitia”), Pope Francis urges Catholics to consult their consciences for guidance when making moral decisions. He might be glad to hear that a recent study found many Catholics already are doing just that. 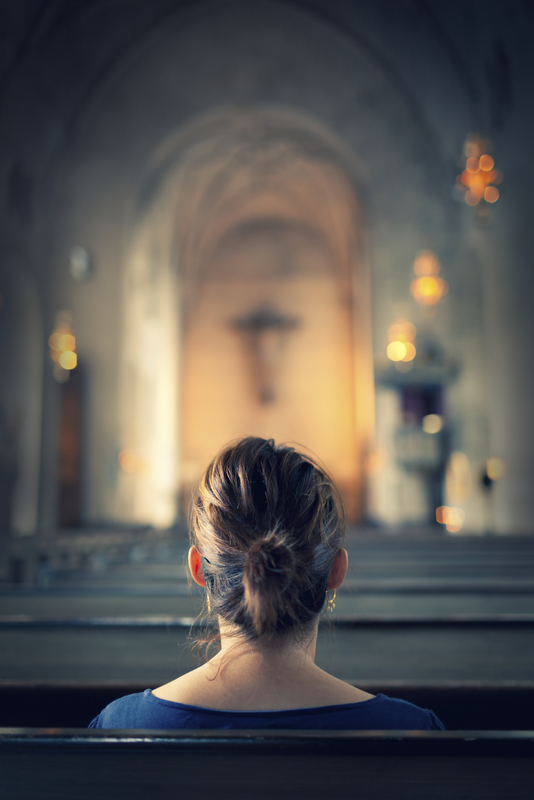 According to the Pew Research Center, 73 percent of Catholics “look to their own conscience ‘a great deal’ for guidance on difficult moral questions.” The statistics demonstrate that the exhortation is not simply a suggestion for a way forward but a powerful recognition of the current reality for many people of faith. The church urges Catholics to make every effort to build a well-formed conscience, which often is done with the aid of church teaching and through dialogue with others. The Pew study, however, found that most Catholics have less experience with this approach. Despite Pope Francis’ popularity and widespread media coverage, only 11 percent of Catholics look “a great deal [to the pope] for guidance on difficult moral questions.” Just 21 percent said they consulted church teachings “a great deal,” and 15 percent said they looked to the Bible. Many Catholics also reported avoiding discussions of faith with people with whom they might disagree (31 percent, the highest of any Christian denomination). Of course, Catholics need not choose solely from among these sources as a way of informing their consciences. Yet drawing on church teaching, tradition and conversations with fellow believers—even those we disagree with—can challenge us to think more deeply about our faith and the ways it influences our moral decisions. Catholics already understand the importance of conscience; let us now set about helping one another to form it well. "The Church urges (?) Catholics to build a well-formed conscience?" "Catholics need not choose solely from theses sources (Bible, Church teachings)?" What other sources would there be to form a Catholic conscience? Church teaching takes in natural law. The Church does much more than urge which is an exhortatory verb. The Catechism says: Conscience must be informed and moral judgment enlightened (1783); In the formation of conscience the Word of God is the light for our path, we must assimilate it in faith and prayer and put it into practice. (1785);Man is sometimes confronted by situations that make moral judgments less assured and decision difficult. But he must always seriously seek what is right and good and discern the will of God expressed in divine law. (1787);...ignorance can often be imputed to personal responsibility. This is the case when a man "takes little trouble to find out what is true and good, or when conscience is by degrees almost blinded through the habit of committing sin. In such cases, the person is culpable for the evil he commits. (1789); The education of the conscience is a lifelong task. From the earliest years, it awakens the child to the knowledge and practice of the interior law recognized by conscience.(1784). Of course that interior law as Pope Benedict points out is the way we are created. God is the author of what is good and hence human nature is created to participate in God's eternal order and goodness. We are living in a world where many prisoners of subjectivism claim that an individual conscience can overrule God's order and commandments and binding Church teaching and establish their own good and evil. That of course is not Catholic teaching but situation ethics and a repeat of the original sin. With respect to only the 15% who look to Scripture and Church teaching, isn't that the fault at least partially of the bad catechesis, the refusal to teach doctrine, the coddling of treachery and dissent from those clerics and laity who no longer believe the Church's doctrinal/moral teachings but are in positions of authority and teaching? That percentage didn't just happen. Heck Georgetown just invited Planned Parenthood president Cecile Richards in to be told abortion is a basic human right? Who is calling the shots at Georgetown? This article also appeared in print, under the headline "Guided by Faith ," in the May 2, 2016 issue.